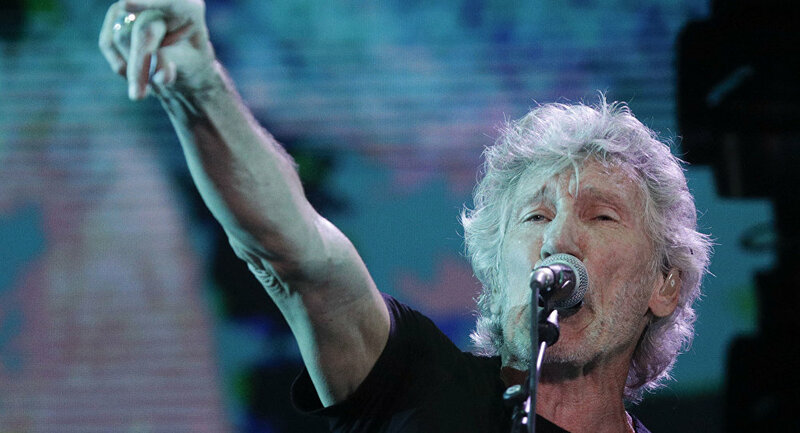 Pink Floyd co-founder Roger Waters used a private jet to reunite a Trinidadian mother with her two children, who were kidnapped by their now-dead father to live in the so-called Daesh caliphate. Speaking with Channel 4’s Jackie Long, Roger Waters has disclosed some details of the rescue operation of seven-year-old Ayyub and 11-year-old Mahmud, two boys from Trinidad, who were stuck in Syria after their father from Daesh* died. “While Clive [Stafford Smith] and the others went across the Tigris and went to the camp and got the boys, it took hours and hours, and hours, and hours, much longer than you would imagine, to get them back and through all the police check-points…”, he told the TV host. Not only did the rock legend fund the op and the private jet, as human rights lawyer Clive Stafford Smith revealed, he also flew to the Iraqi border and witnessed the long-awaited reunion of mother Felicia Perkins-Ferreira with her boys. “When I heard they were on the road I was entirely overcome and I treated myself a glass of cheap white wine and waited for them, and they got back at about midnight, and to see those two beautiful children and Felicia… it was deeply, deeply moving and satisfying”. Ahead of the rescue mission, Waters wrote a letter to the government of Trinidad and Tobago, as well as UK Foreign Secretary Jeremy Hunt, although they never replied. Felicia hadn’t seen her two kids since they were abducted by their father, a Daesh fighter, in 2014 to live in the terrorist-held territory in Syria. After he died, supposedly fighting in Daesh’s self-proclaimed capital Raqqa in 2017, the boys were sent to Turkey together with their Belgian stepmother, who eventually abandoned them on the side of a road. They were later picked up by the US-backed Kurdish Syrian Democratic Forces (SDF), who brought them to Camp Roj in northeastern Syria, where the kids lived among the families of dead or imprisoned terrorists. *Daesh, also known as IS/ISIS/ISIL/Islamic State, is a terrorist group banned in Russia and many other countries.